Whether they are new to the sport or a seasoned professional, you can never go wrong with getting them some more darts. As this is the most essential part of equipment, you will find that they will be used more often and they can develop a favourite or lucky set. However, there are a vast range of sets available on Sports Fitness which can be purchased as part of a pack or as individual pieces. By ordering individual pieces they are able to build the perfect dart with the optimum quality shaft and flights. So why not take a look at our colourful range of dart flights today! You can also find a number of styles and patterns online for flights which can be personal to the player i.e. a favourite football team or a significant logo. Another great idea for darts players is getting them a board of their own so that they can play and train at home. 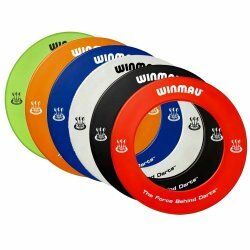 There is a wide range of these which can be purchased form lone dart boards to specialised ones which come on a backing board featuring a score board. If they primarily use steel tipped darts, the best type of board to purchase is that of a bristle base. This allows the dart to effectively permeate the fibres with limited pull on the material when removing the dart. A fun gift for dart players or establishments where a dart board is mounted on the wall is a laser dart throwing line. This contraption allows them to mark out the throwing line efficiently without having to physically adhere anything to the floor. Therefore this is a popular choice for rooms where there is carpet flooring compared to hard wooden floor. How it works is that you can attach it to the wall just underneath the dart board itself. And when switched on this light shines a red lazer which marks out the throwing line on the floor. 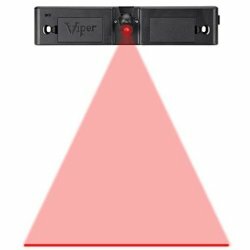 This is a very modern gift for players and one example of this gear is a Viper Laser Throw/Toe Line Marker which can be ordered from a range of places including Amazon for just over £30. When owning your own dart set it is very difficult to keep them all in one place securely without having a specialised case. So to go with a gift of a dart set, you could look at purchasing them their very own travel case to keep them protected. Most cases have space for three darts along with a section for spare flights and shafts too which may come in handy when out playing a match. The handy case also ensures that all of their gear can be kept in one place without risk of misplacing them. If they already own a dartboard but are finding their flight accuracy is a bit off, a superb idea would be to get them a rubber surround for the board. This sits around the circumference of the board to work as an extra level of protection to prevent any marks or dents occurring in the wall behind it. You can also have these surrounds customised to the player so that they can be designed using their favourite colour and have their name on it. Therefore you are able to make a vital item of damage prevention personal to give it that extra special feeling this Christmas. 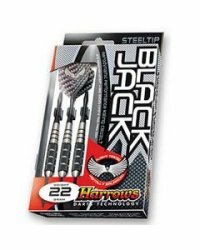 In the above sections we have taken an in-depth look into 7 must-have gifts for darts players worldwide. So if you have found any of our ideas useful or we have inspired you to make a purchase from our online store today, be sure to get in touch over on our social media pages. Let us know what you have ordered thanks to this article and let’s inspire one another this Christmas! Take a look at the darts category at Sports Fitness now!